Toronto researchers explain their recent findings, and how unchecked unconscious bias can contribute to the problem. If you've watched this recent CBC Podcast video, "Living with a non-Anglo name," you might understand why it would be particularly relatable for viewers with ethnic first names or surnames. But for those of us living with non-Anglo names, it seems that there can be consequences beyond constantly having to correct its spelling and pronunciation, and never being able to find a souvenir keychain with your name on it. Last year, a study entitled "Do Larger Employers Treat Racial Minorities More Fairly?" from researchers at Ryerson and the University of Toronto made headlines, finding that Canadian job-seekers with Asian names are 20 to 40 per cent less likely to receive a callback, simply because of their name. Following the study's release, the federal government was prompted to launch an Anonymized Recruitment Pilot Project, and in January 2018 published its own much-publicized report concluding that the government did not uncover any bias against visible minorities within its own hiring processes. Yet, as the report admits, "the pilot project relied on volunteer organizations and a non-random selection of external recruitment processes," limitations which undermine the research design and findings, as participation was neither blind nor randomized. To find out more about racial bias in Canadian workplaces, we talked to two of the authors of the original study, Dr. Rupa Banerjee and Dr. Jeffrey G. Reitz, for insights into how unconscious bias might affect the career prospects of ethnic minorities in Canada today — particularly those with Asian names — and what practical policies and practices can be implemented to combat the issue. "Yes, I think that racial bias exists in Canada, " says Dr. Banerjee. "And when I say racial bias exists, I don't mean in a really malevolent, obvious racist kind of way. I think we all have bias within us…it's a matter of making people aware of some of these issues and allowing them to affect themselves." For example, according to Dr. Banerjee, hiring managers on average look at each resume for just 7 to 10 seconds before deciding whether it should get a second review, and these split-second decisions are often made on an unconscious level, influenced by the unconscious biases or preferences the manager might hold. "This idea that unconscious bias exists in all of us and that it can actually play a role in the decisions that we make, I think that it should be really, really prominent in all HR training," says Dr. Banerjee. 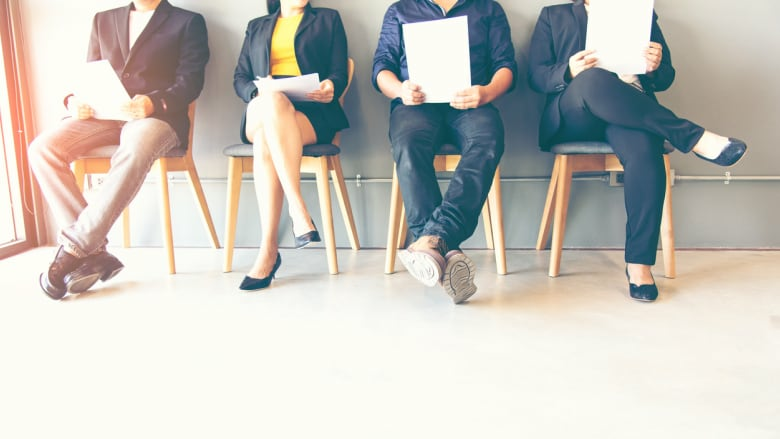 Their research found that job-seekers with Asian names — whether or not one part of the name had been Anglicized by, for example, including an English-Canadian first name with an ethnic last name — were clearly disadvantaged, and received fewer callbacks for interviews. "When asked why there was such a low level of selection of resumes with Asian names, employers often would say things like, 'Well, if you see an Asian name, you're thinking that there's going to be some kind of language problem or a heavy accent or something that would maybe interfere with a person's ability to do the job or interact well in the workplace'," says Dr. Reitz. "So in other words, people imagine implicitly, maybe without even making it explicit in their mind, that there is going to be a disadvantage without actually checking." And some companies and hiring managers hesitate to hire immigrants or applicants with ethnic names over potential issues of 'cultural fit'. "It's not even on their radar that this idea of 'cultural fit,' or 'organizational fit,' really is just a euphemism in many instances for saying 'someone who talks, thinks and perhaps even looks the way I do'," explains Dr. Banerjee. "It is very complicated, because you do want to hire people who have the right values, the same kinds of values that the organization wants, so you don't want to do away with [the idea of fit] completely. But it's very difficult yet important to make sure that 'fit' within the values doesn't actually mean that you're excluding certain groups." There have been positive developments. "I think that a lot of progress has been made in legislation and policy, and a lot of larger organizations are very proactive in trying to mitigate these issues," says Dr. Banerjee, while noting that many of the small and medium-sized companies that employ a large sector of the Canadian workforce unfortunately aren't as aware. The study results also indicated that individuals with Asian names applying to larger organizations, or those with more than 500 employees, had a 20 percent less chance for a call back, compared to a 40 percent less chance with smaller organizations. "The report that we produced included an analysis of the difference between large organizations and smaller ones; the importance of that is that large organizations have very often more sophisticated human resource management procedures," says Dr. Reitz. "It's better, but it's not a case of being bias-free." For any size organization, Dr. Banerjee recommends three concrete steps that have been shown to help: provide HR training that highlights the role of unconscious bias in decision making processes, have more than one person making the hiring decisions, and to increase diversity in the organization at all levels. "Having panel hiring has been found to be much more effective in terms of eliminating discriminatory hiring, because people don't want to appear discriminatory, so they will give their choices a second look before proceeding if they know that more people are going to be seeing the decisions they make," explains Dr. Banerjee. And, adds Dr. Banerjee, it's important to look beyond hiring procedures to make sure that minorities are equitably treated when it comes to career progression and advancement, too. "Having more diverse people in [key] roles — hiring roles, decision making roles — then the kinds of decisions they make will be therefore just as diverse."